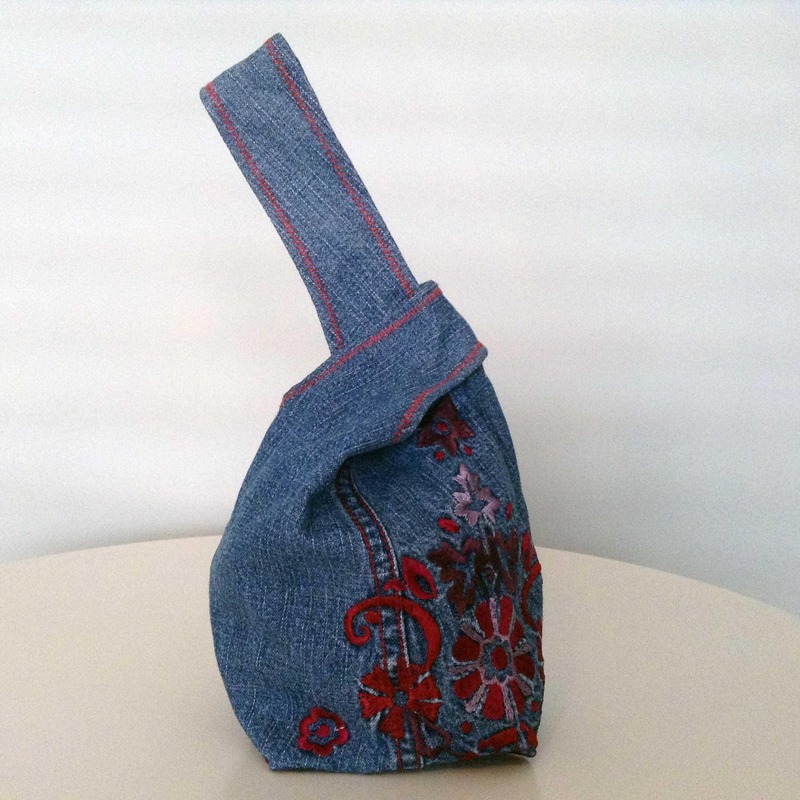 Unique handmade Japanese Knot Bag in 100% recycled denim. 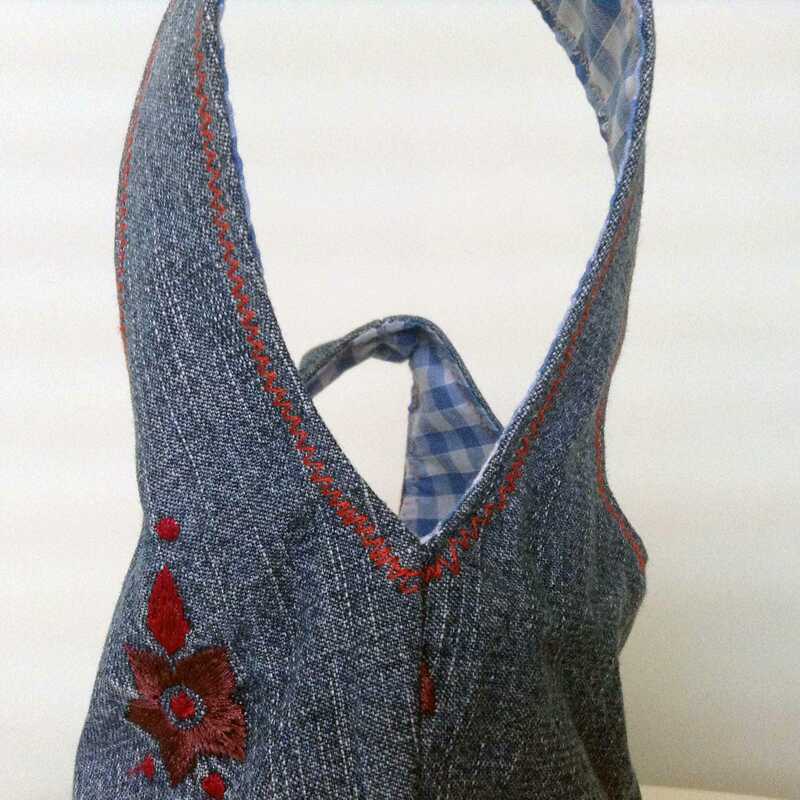 Blue denim with red embroidery with contrasting red top stitching, with blue gingham lining, finished with a cute button on the base. The perfect modern accessory and gift. Ideal for nights out, shopping trips, walks etc. The bag is approximately 7" wide at its widest point, and 9.5" long. 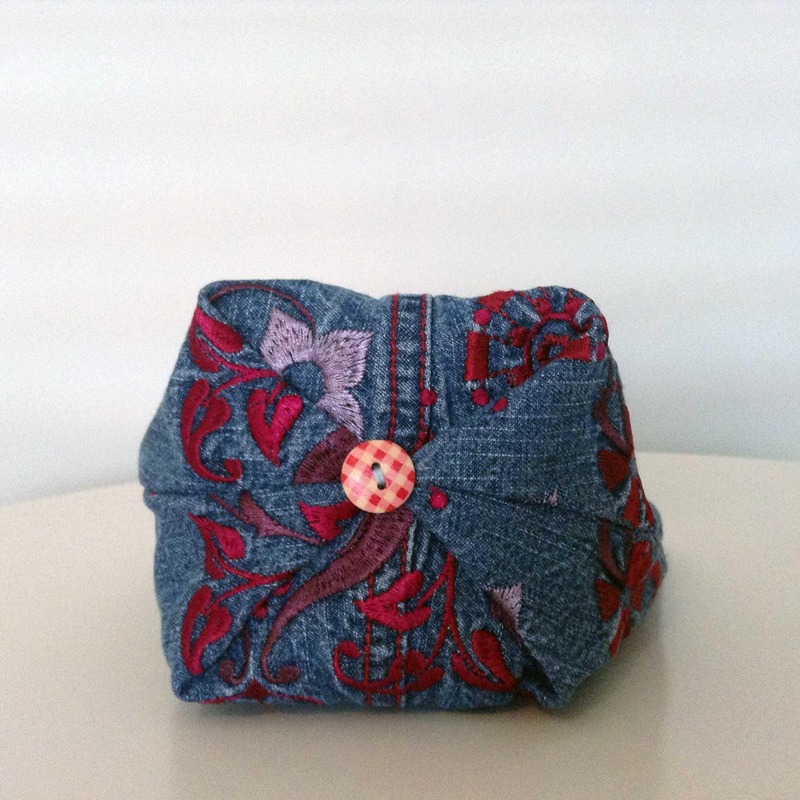 The unique design provides a sturdy base which holds its shape, even if the bag is not full, and is finished off with decorative stitching and a cute button. 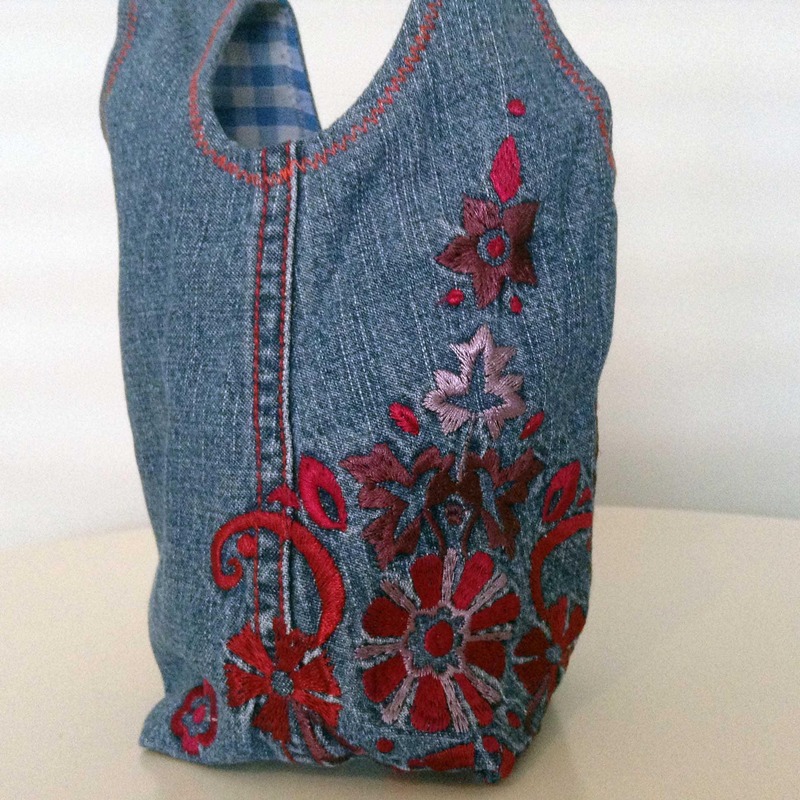 The bag is large enough to hold a mobile phone, small purse, keys and glasses. Ties by feeding the longer handle through the smaller handle, then simply slip the long handle onto your wrist. All UK orders are shipped by 1st Class Royal Mail. International postage options are also available.